With the long summer days in full swing, many families will be heading off to the beach or to a resort to cool off the summer heat, so a brand new beach bag from Special K can be quite useful. 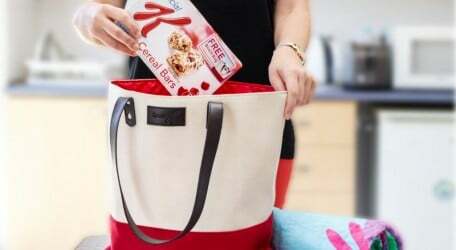 To get hold of the stylish Special K beach bag, one simply has to collect three unique codes printed on the inside of Kellogg’s Special K promotional pack (1 code per pack). Log on https://summer.myspecialk.co.uk/gb and enter the codes together with relevant details and wait for the bag to arrive at the provided address. “Kellogg’s ultimate aim is to see individuals establish a long term healthy lifestyle to keep the weight off and stay healthy. Through this promotion, we would like to thank Maltese consumers, while encouraging individuals to start healthy eating habits,” he added. The Kellogg’s promotional packs can be found on a range of Special K cereal packs, cereal bars and Biscuit Moments at the local retail outlet or supermarkets. The Special K beach bag promotion ends on 1st April 2015 or while supplies last. For further information one can visit the site https://summer.myspecialk.co.uk/. Terms and conditions apply.